So, you want a stylish, minimalist watch…but you only have a tight budget? I’ve seen many recommending popular minimalist brands like MVMT and Daniel Wellington. However, today I’m covering my pick, the Timex Fairfield. In this article, we take a look at the watch, what it offers, and how it compares to the competition. The Timex Fairfield is an entry level quartz piece, normally available between £40 and £80. I’d recommend against buying direct from Timex, as sites like Amazon will usually have them listed significantly cheaper. This low cost makes these a great fashion watch, as you can realistically purchase two colour variants of these watches for less than £150 total, in most cases. Both the NATO and regular straps I’ve tried with these watches were made of genuine leather. This is a low-grade leather; which is totally expected at this price point. These straps have performed as I imagined over the last few months, but don’t expect them to last several years. The regular straps do feature the quick release tabs, which makes changing the straps incredibly easy. The case is comprised of a combination of stainless steel (back) and chrome plated brass. The polishing is consistent and well done overall, though it is slightly frustrating that the whole construction isn’t stainless steel. The glass is mineral crystal, which is pleasing at this price. 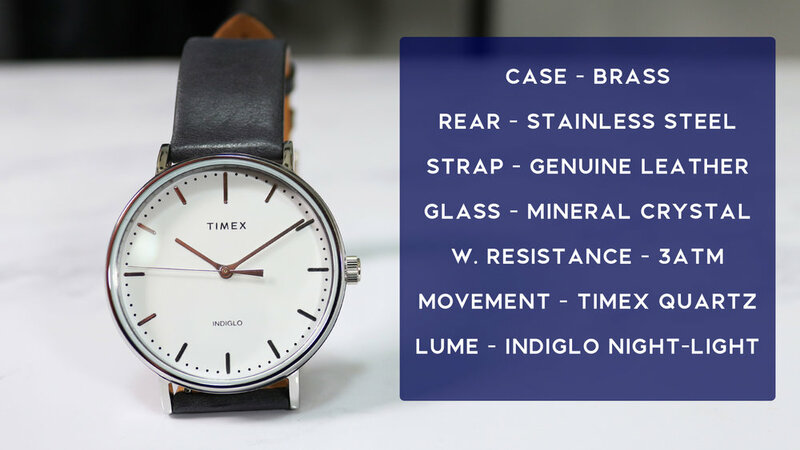 Many fashion brands opt for acrylic (plastic) for their low-cost watches, however Timex have utilised the slightly better mineral glass, which offers some limited scratch and shatter resistance. The movement inside the Timex Fairfield range is some form of unnamed Timex quartz movement. As with most watches at this sort of price, these are made in the Far East. It is possible to get automatic watches from brands such as Seiko, for about 30% more money. However, for this sort of design, from a renowned brand like Timex, it’s still good value. One thing to note is that the regular Fairfield has a rather loud tick, which isn’t an issue in normal situations, but is certainly noticeable at night. If this is an issue for you, the sub-second variant may be worth acquiring instead, as that model reportedly has a near-silent tick. The Timex Fairfield offers a classic, minimalist aesthetic, with some Timex twists to set it apart. The dial is free from complications, with the hour markers and hands having a slight curvature to them. This is a refreshing change from the stale, repetitive designs used by the likes of Daniel Wellington; shared by millions of mass-shipped Chinese watches. This design offers great versatility and a timeless look, which will stay stylish for years to come. It also features the elusive Indiglo feature, which is my favourite night light technology; illuminating the entire dial at a press of the crown. Most men’s Fairfield variants come in at around 41mm case diameter and around 9mm in depth. This is a wearable size for most men, though those with particularly slim wrists may opt for one of the 37mm unisex models instead. In an ideal world, I’d like it if the watch was slightly slimmer, as I feel it would better fit the aesthetic and intended role of the watch. I’ve spoken at length before about other watch brands, such as MVMT and Daniel Wellington. These are the two most promoted ‘low cost’ minimalist watches you’ll see on social media. I’ve seen paid posts from influencers and bloggers recommending these as the best choice. There are a few reasons I think the Timex is a better value choice. Firstly, the watch offers near-identical specs to rival brands, for half the price. If anything, when in the hand, the Fairfield feels like a higher quality watch than those rivals. Additionally, MVMT and DW essentially mass-ship watches from China, which likely involves questionable levels of quality control. Timex watches, whilst also predominantly from the far east, are specifically manufactured for Timex, hence an increased level of quality control can be expected. 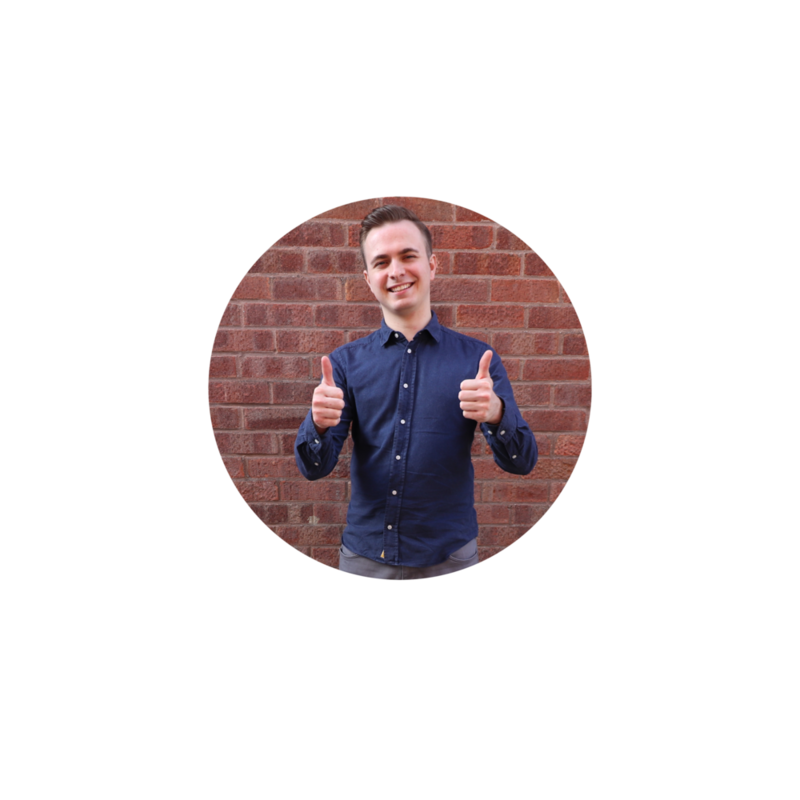 The key factor for me is transparency. I’m sick of so many cheap fashion watch brands falsely advertising their products as ‘luxury’ and ‘affordable luxury’. It frustrates me how such brands clearly target consumers who know very little about what makes a quality watch, as none of the watches I’ve mentioned in this post come close to luxury. The great thing with Timex is they accurately advertise their watches, which I can morally respect far more. Overall, I like the Fairfield and think it’s a good addition to the Weekender line. Is this the best cheap minimalist watch? Probably. There are some good automatic options to be had, which offer a similar aesthetic, but those come in at around double the price. I’d say for the fashion-conscious guy, looking to get a stylish, minimalist watch; this is a great budget choice.